I've been a sufferer of Dust Mite Allergies all my life. As a child I was given a nasal spray, and later an antihistamine product containing pseudoephedrine to help me with my allergies. Nasal sprays don't really work for me anymore, and the anti-histamine product I took was taken off the market due to the pseudoephedrine ban in NZ. Needless to say I had to look for other solutions. The causes of Eczema can be varied, and for many people it is a matter of trial and eror to work out what their particular triggers are. Some Eczema is a direct symptom of an allergic reaction to things such as food or dust mites, while others can be irritated and inflamed by non-allergenic triggers, such as chemicals, heat and stress. Here are a few things to help manage your Eczema at night and ensure a better nights sleep. Clinical Research Studies have shown that lowering exposure to dust mite allergens can help allergy sufferers by reducing the frequency and severity of their symptoms and by reducing their need for medication. 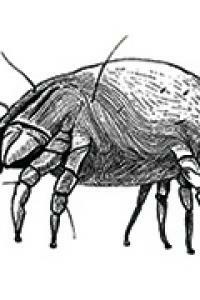 House dust mites are tiny creatures - no more than 1/3 of a millimetre in length when fully grown. The bodies of the mites and in particular their faecal droppings contain potent allergenic proteins which can trigger allergic disorders. 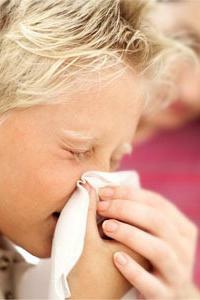 The most common allergic reactions to the Dust Mite Allergen are rhinitis (inflamed, runny nose) and asthma. 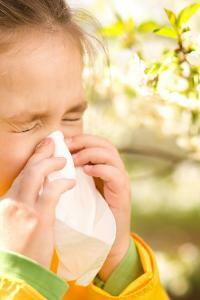 But it may surprise you to find out that Dust Mite Allergens can irritate the skin, resulting in Eczema. 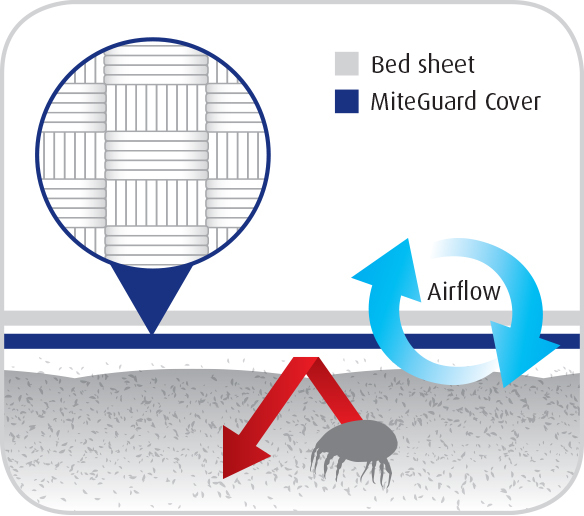 How do MiteGuard Dust Mite Barrier Covers work? All MiteGuard® covers are made with 3.5micron, 100% Natural Cotton fabric, using precision microweave technology. The MiteGuard® fabric and construction methods have been independently tested by a leading NZ microbiologist. Why Should I Use Natural Products for Sleep? "No day is so bad it can't be fixed with a nap."